Ambiente Blog • Seen in the right light. Lamps have long been more than just a source of illumination. They’re now firmly established as an accessory and interior design object. 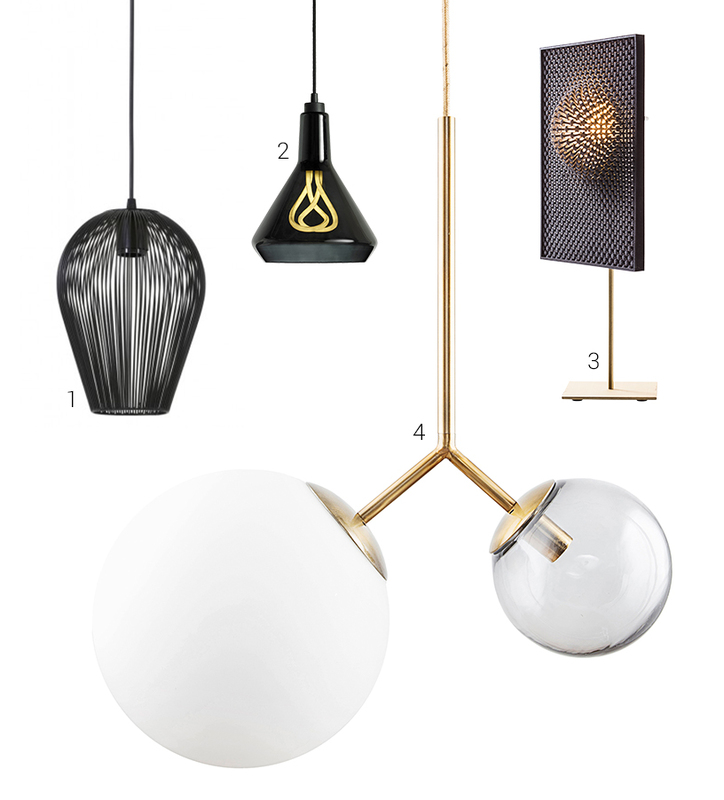 It’s time to shine a spotlight on the most exciting trends in lamp design. From minimalist straight lines to a cornucopia of shapes. In interior design, lamps can highlight the different facets of a space and play on contrasts as part of a harmonious whole. The lighting is at least as important as the object in focus when it comes to creating ambience. 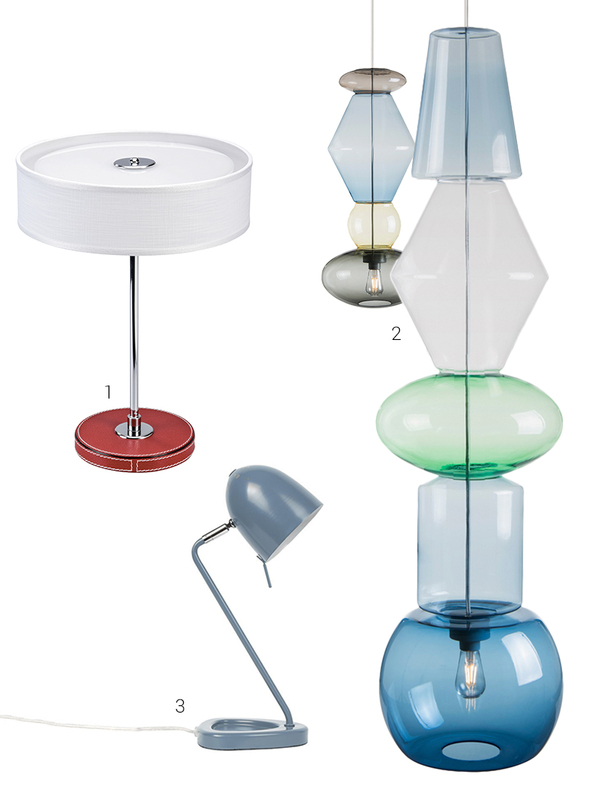 Lamps are small-scale works of art that can enrich any interior. Inspired by clean lines, design and innovation combine and are clearly articulated in this trend. The resulting lamps are especially refined – minimalist objects which make most impression with their individual details. 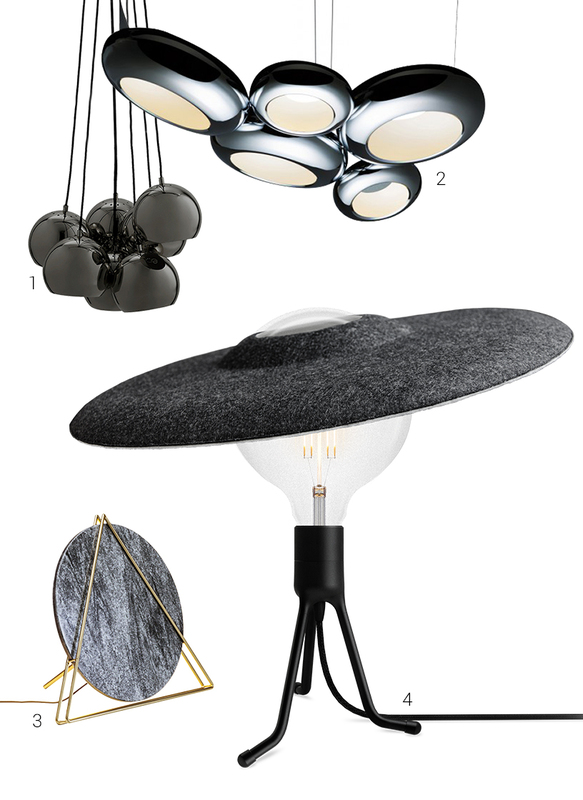 Nothing is left to chance: every metal element and lampshade also plays a role. Standard and table lamps integrate seamlessly into each space, accentuating specific aspects. Pendants seem to float free. Milk glass bulbs, or ones with a yellow shade, soften the light. Direct lighting is only used to emphasise specific spots. In other words, form follows function. The famous Bauhaus school adopted this motto, which is being successfully and aesthetically reinvented as part of this minimalist lighting trend. In the minimalist vein that’s currently in high demand, these straight lines apply a very particular aesthetic to interior decor. 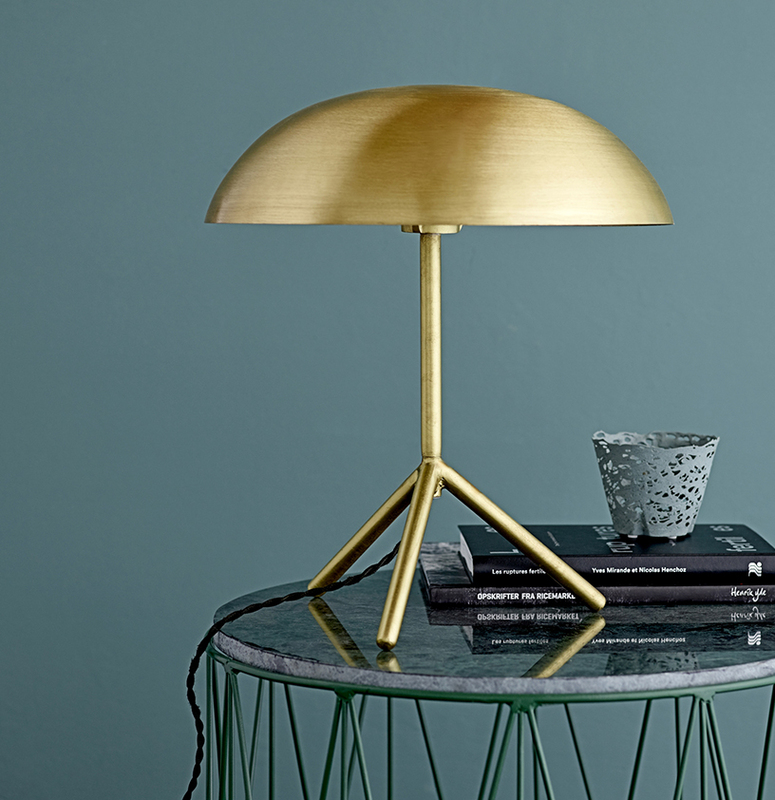 Borrowing as they do from 60s chic with aspects of the roaring 20s, these objects retain a decorative charm: gold, marble and sleek matte black metal, shiny plastics and coloured glass come to the fore. This is not kitsch, but a playful exploration of dynamics. By combining apparent opposites, an exciting design emerges which is both modern and timeless. Rounded shapes meet straight lines, corners and edges in a light-hearted and refined combination. 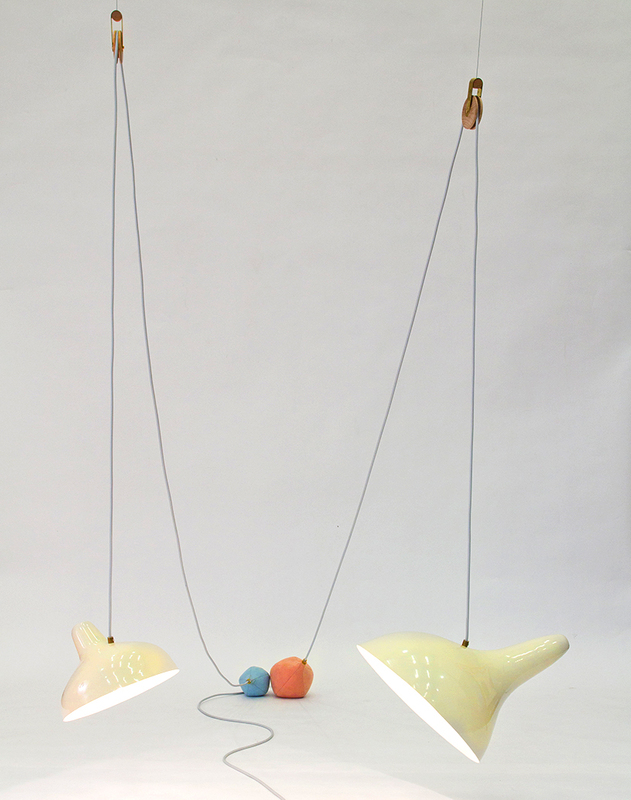 In short, these lamps are both focal points and accessories. Is it a bird? Is it a plane? No, it’s a lamp! Striking shapes and intense bursts of cartoon colour hit you with a ‘pow’! 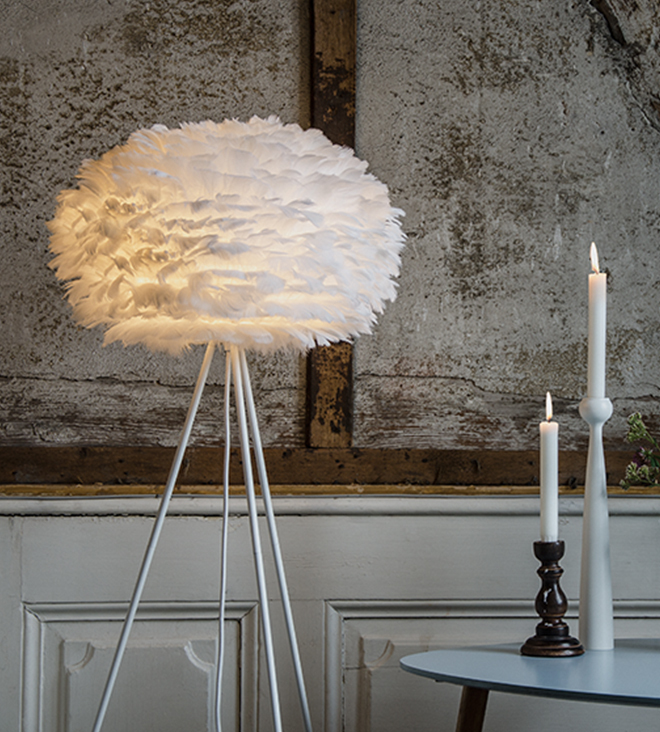 This is a light source as objet d’art, guaranteed to turn heads. Curved lampshades that look almost organic flirt with geometric designs. Industrial design bumps up against retro chic, with a hint of the eclectic. Cords and cables connect the individual elements. These are intentionally on display and round out the whole design. Primary colours set the tone and the strong light fits with the reds, yellows and blues. It pours light across the open interior. Many contemporary designers draw special inspiration from nature. Instead of looking to technical progress and sober design, they focus on authenticity and originality. 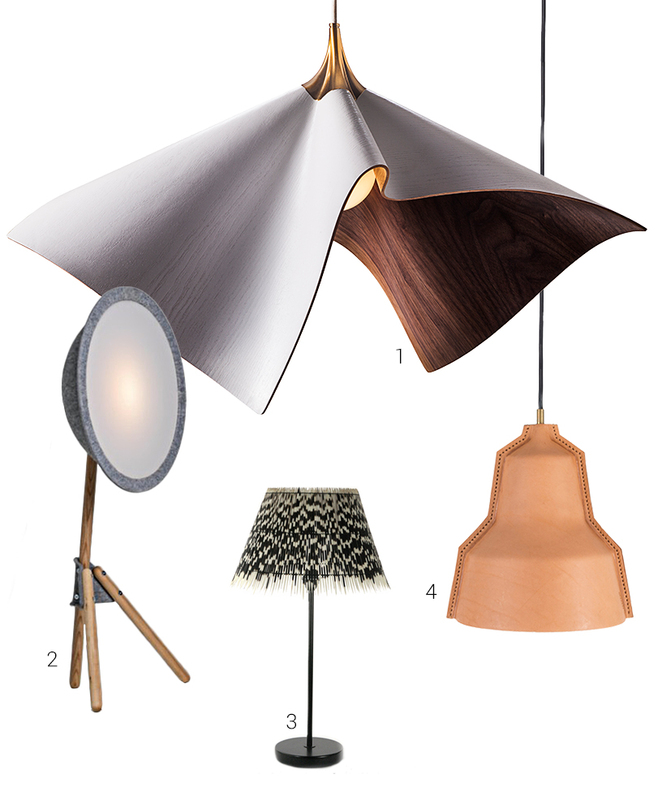 Lighting design is no exception, incorporating wood, stone, ceramics and even feathers to striking and unique effect. It would be wrong, though, to assume this is a mere adaptation of the vintage style beloved of country houses. Instead of focusing on a bygone era, this trend aims to display the simple beauty of nature in the raw. These lamps almost look like they grew up organically. Other models win us over with their combination of untreated, rustic materials and a pared-down design language. 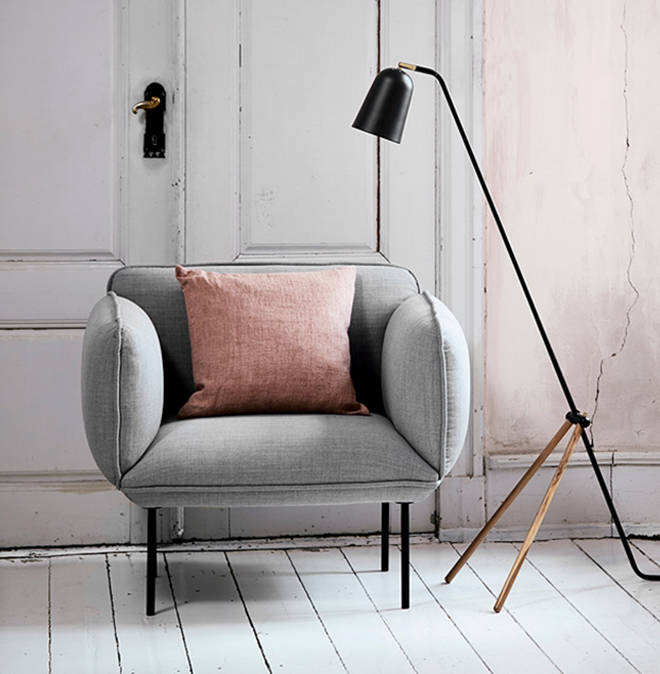 The light emerges warm and altogether inviting; it’s about creating a cosy space. It’s a retreat, a place to rest from a world that threatens to engulf us. And it’s a shining example of interior design. Lightbulbs are turning into the real stars. 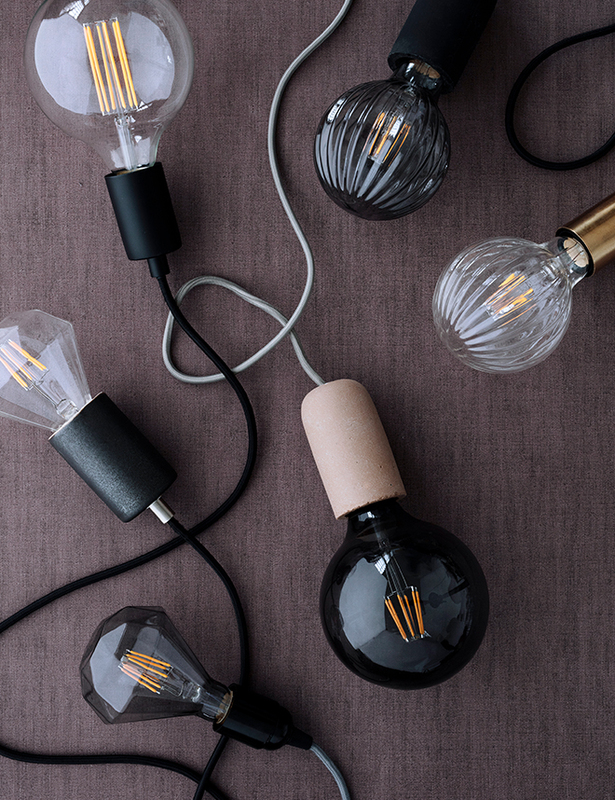 This year, there are many shapes of lightbulb – the classic curves have had their day. 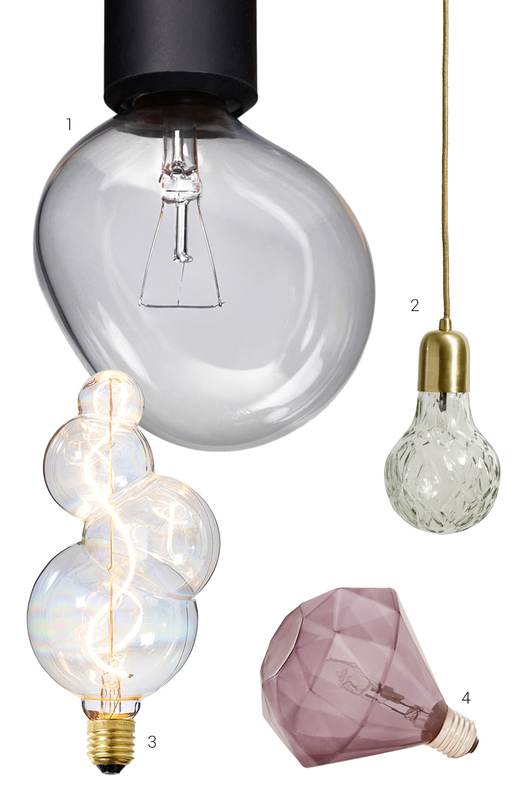 These new bulbs aren’t necessarily ‘pear shaped’, but look more like bubbles or fine diamonds that break up light in new and interesting ways. That makes these bulbs a real attraction, even when they’re not switched on. Carefully choreographed filaments glow warmly to complete the design.